I’m sure you’re only too aware that there’s no magic bullet for closing the attainment gap. It’s ingrained in the social and economic circumstances in which Scottish children are born, raised and educated. It’s not only a symptom of inequality but a cause of continuing inequality. It’s wrong and shameful and it must be addressed … but significant change will require concerted, coherent action by all sectors of Scottish society over many years, possibly decades. So I’m writing on behalf of one group of people – Upstart Scotland – who desperately want to help make that change – people who have looked carefully at the evidence about child development and concluded that, for historical and cultural reasons, Scotland is actually perpetuating disadvantage by the structure of our education system. When children start school at the age of four or five, those from disadvantaged backgrounds are on average thirteen months behind their luckier peers in terms of language and problem-solving skills. Yet we expect all children to achieve the same outcomes in literacy and numeracy. Not surprisingly, the disadvantaged kids fall behind, many lose heart, and despite the best efforts of their teachers, fail to thrive in our education system … and so the cycle of disadvantage continues. Scotland is quite rightly attempting to reduce that thirteen month deficit by investing millions in improving the life chances of disadvantaged children from the moment they’re born, and Upstart Scotland desperately hopes this investment will continue. But we also know that any progress made in children’s first three years will soon be lost unless it is followed through in the next three, when they enter the educational system. The quality of early years education is therefore of critical importance. It must be coherent and well-resourced. It must take account of every aspect of children’s physical, social, emotional and cognitive development, and of nurturing personal qualities that will help them flourish at school, rather than focusing too early on developmentally-inappropriate academic targets. A year or so in under-resourced childcare, followed by transfer at four or five to a formal school environment where the emphasis is on literacy and numeracy outcomes, is not the answer. It’s no coincidence that the three western countries that currently score highest in the OECD educational charts don’t send children to school till they are seven. Before then, children are expected to learn in kindergartens, through the medium of play, at their own rate, and with the support of adults specially trained in the science of child development. This kindergarten stage allows a few years for all children to enjoy learning in an active, age-appropriate way without the pressure of adult-imposed targets. And, crucially, for those children who arrive at a developmental disadvantage, it gives time to catch up in terms of language, problem-solving and self-regulation skills – qualities upon which success in formal schooling depends. 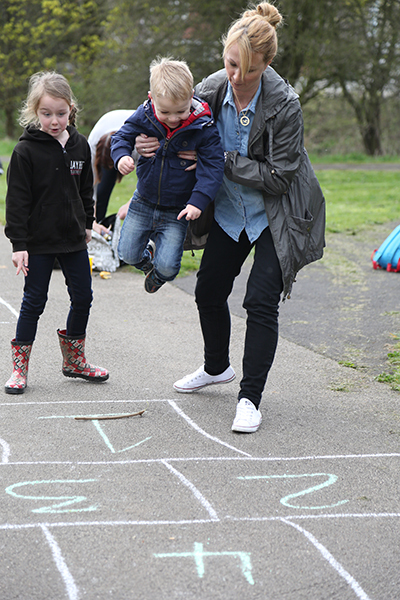 Several years of play-based education, supported by caring well-informed adults, is the best way of creating a truly level playing field for all children’s educational achievement. Upstart Scotland believes that our country’s extremely early school starting age, combined with an increasingly early focus on the three Rs, therefore compounds educational disadvantage and is far more likely to widen the attainment gap than to close it. We are therefore campaigning for the introduction of a kindergarten stage in Scotland for children between the ages of three and seven. It should have a recognisably different ethos from formal schooling, and be based on rapidly-growing scientific evidence about the importance of play in child development. 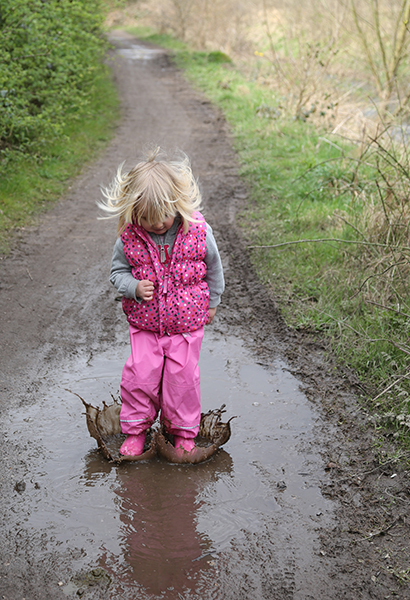 Research now shows that play – especially outdoor, active, social, self-directed play – enhances self-regulation, emotional resilience and cognitive development. Yet, over recent decades this sort of play has practically disappeared from many children’s out-of-school lives. The ‘real play’ through which evolution designed young children to learn has been replaced by an indoor lifestyle, largely centred on sedentary, solitary, screen-based activity. 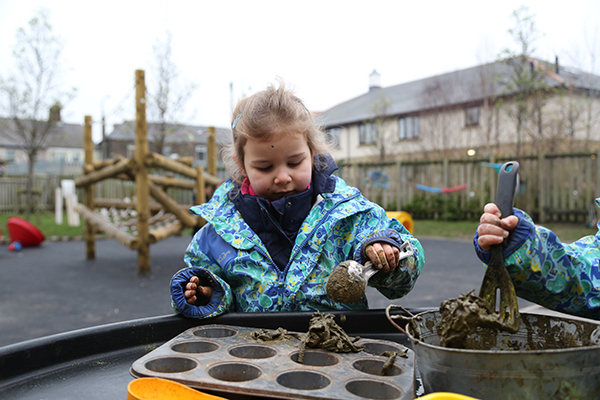 These recent cultural changes make it even more important that our education system provides time, space and support for play-based learning in the early years. Upstart Scotland has been formed in response to all the concerns described above. 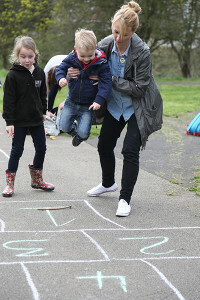 It is a very new campaign – launched earlier the month – but already has the support of many hundreds of professionals from childcare and education, health, psychology, social justice, the play sector and children’s rights, as well as parents and organisations such as the Scottish Parent Teacher Council. All these Upstart supporters have concluded that radical change to early years education is now essential – not only to close the attainment gap, but also to tackle the alarming rise in mental health problems among children and young people ( a development which is almost certainly connected with the same social, cultural and educational issues). I have therefore written directly to you, the Minister for Childcare and Early Years, the Minister for Public Health and Sport and the Minister for Mental Health asking you to meet with representatives of Upstart in order to hear our case before finalising your plans to close the attainment gap. Please listen to Upstart’s arguments, Mr Swinney. We’re not suggesting that the introduction of a play-based kindergarten stage is a magic bullet. But we do have evidence that it could give all Scottish children – especially those from disadvantaged backgrounds – a vastly improved chance of becoming successful learners, confident individuals, responsible citizens and effective contributors. This is so important! It is my firm conviction, and research bears me out, that children need to play in the mud. At the secondary school stage, we often try to teach them, laboriously and with limited success, skills they would have picked up easily through extended free play at an earlier age – turn-taking, self-regulation, resilience, initiative, problem solving, lateral thinking etc. A later school starting age would also mean that at the other end of the education process, young people enter college or university with more maturity, being more focussed and serious about their studies. I found the difference between Scotland and Germany very stark in that respect. However, there are other issues in the Scottish education system which need to be addressed just as urgently. Many of them are based on irrational beliefs that things like testing and enforced school uniform will improve educational outcomes. We need to base our education policy on evidence and research, not on tradition and belief. The culture of teaching for grades and the focus of student’s learning for University entrance is in effect a complete distortion of education if one assumes that education is to provide facilities to allow students to think and enhance the capability of living in today’s age. Although the argument on academies is not intense in Scotland, the words academic and practical still have a status hierarchy associated with them. We have or had the absurd notion regarding language learning requires a certain level of intelligence where in other parts of the world it is a means to earn more money by career development or to a waiter, in tips. There is also a tendency in the way we treat children at the early age of discovery by giving the answers before the children have time to fnd out and formulate their own solution or answer, this approach is detrimental to the development of imagination. A question: why after a relatively short time do children play with the boxes that contained the toys, often neglecting the toys themselves? Wouldn’t it be amazing if he was courageous! He has a big opportunity to makes decisions that could change the lives of Scottish children. We can change the furure by allowing our children to be free to play and learn. Is there any other things we can do to to encourage change. Should we all be writing to him? Lets hope he arranges to meet with UPSTART whist he is considering his plans. Thank you Upstart Scotland for leading this vital campaign. This is the direction Scotland needs to be brave enough and wise enough to take. If the Scottish Governmemt is serious about closing the attainment gap, and I believe it is, then it will need to have the courage to withdraw its testing agenda and nurture the original principles of curriculum for excellence: to widen experiences, connect to comminities, engage in outdoor learning and promote kindness at every possible level-. These are the principles once advocated by Robert Owen which made Scotland a world leader in education and created positive social reform. We need to reclaim these values in a modern context and be fearless in making getting it right for every child a phrase which every child and parent recognises as something meaningful and true for their experience of learning in Scotland. Important we get University Education Departments on board to introduce a full 4 year Degree in Kindergarten Education, equal to Primary and Secondary degree status. There are many Professional Child Care Workers and Primary School Teachers with Infant Endorsements who could access a shortened Kindergarten Degree course, and many who would be keen to equalise recognition of Early Education via this means as the fundamentally important phase of children’s education and development. This open letter smacks of ‘let’s put the blame on others’. In years gone by, preschool kids were taught by their parents, not sitting down listening to facts and figures – just everday happenings! There was no ‘kindergarten’ or nurseries for us, just the big bad world of play. Importantly, this involved sharing our toys and time with other kids in a home environment and of course, learning respect! This is where our physical, social, emotional and cognitive development was honed. There is an expectation today that both parents should work – should one of them not be at home for the kids that they say they love? instead of chasing more and more money to buy pile deep carpets, nice settee’s expensive holidays, bigger houses and have 2 (new) cars in the family? Should their time not be ‘invested’ in their children instead? A big question to be asked is why, some 5 year olds are 13 months behind others? The answer I’m afraid lies with the parents and the parents alone. No, not the ‘state’ the parents. Parents it seems, expect the ‘state’ to supply, bring up and pay for – yes pay for – kindergartens, childcare and nurseries so that they can go out and earn a better living. Did they not think about cost when deciding to have their precious children? Now, I also realise that there are unfortunate children who due to life failures end up in homes/care etc etc and surely this is where the money should be targeted along with educating the parents that fail their children! If and (it’s a big if) the ‘state is failing children so badly, how come so many people go on to have sucessful careers/jobs/businesses etc etc? It is not because they were ‘advantaged’ (I certainly wasn’t) nor was I a great success at school. I left with No – yes NO qualifications whatsoever (but I could read, write & count), realised that the world didn’t owe me (or importantly my kids) a living – I went to college, learnt a trade and went on to run a business to date for 29 years. Kids have been going to school since attaining the age of 5 ish longer than I can remember and the 3 Rs are so important that more emphasis should be put on learning these skills early in their education (I disagree with formal testing). Remember kids were learning the 3 Rs well before school during play (hide & seek, counting out sweets & trying to write their own name, some at 3 years old!) Let’s stop messing with their little heads or worse still their parents heads. Go back to basic education in early years, go back to basic parenting in early years and get rid of the Nanny state. Let us understand that all kids are not the same nor will they ever all achieve, accomplish, win, earn, grasp or attain his or her full potential – let’s just encourage them to do their best – it worked for me any many many others. I totally agree that there must be recognition of the importance of Pre School education. I have worked within this sector for many years. A major aspect to be addressed is the feeling of unrest within the profession of Early Years Workers. It is totally unacceptable that newly qualified teachers are able to work within the 3-5 year old settings having only completed 3 weeks of placement ! Early years workers have to complete years of academic course work and placement work within Early Years establishments before successfully qualifying . Should there then be a job available, the pay scale between that and a newly qualified teacher is vast. The early development years of children is the most important and those involved in nurturing that should be suitably recognised. It is impearative that suitable funding for staffing and resources for young children should be readily forth coming to ensure the future of our country’s young children. I wholeheartedly applaud this letter and the effort to put pressure on the Scottish Government to consider the introduction of this radical change to the development experiences of 5 and 6 year olds. The negative comments from a commentator above seem to me to ignore the huge disadvantage some parents start out with in the upbringing of their children. It is most certainly not a nanny state to have our Government on our behalf introducing changes to the benefit of all children. While the emphasis in the letter is the potential benefits to children from the poorest backgrounds. a change to kindergarten settings for 5/6 year olds would benefit all children. I hope the next steps in thinking about this change for 5/6 years olds is to consider HOW such a change could be introduced. Indirectly, I glean that the well conceived curriculum for excellence has been introduced in sub-optimal way to say the least. We would not want that to happen with a change to kindergarten settings for 5/6 year olds. A “roadmap” of sorts would be needed to ensure a successful and not to hurried transition with some realism about how challenging it would undoubtedly be. My final point concerns advocating the value of musical experiences for young children in any curriculum. This would not be primarily to help develop musical appreciation for later in life, but to aid beneficial all round brain development. there is good science showing how music is one of the few activities which simultaneously develops both sides of the brain. Sistema Scotland shines a real light on the wide ranging benefits to children of musical activities.